As Havana boasts 1950s glamour and Camagüey exuberant art, Santiago de Cuba flaunts with gusto the island nation’s fiery history. From the Casa de Diego Velasquez, the oldest home in Latin America, to UNESCO’s best-preserved site of Spanish-American military architecture, the Morro Castle, Santiago de Cuba is packed with history and elegies to a valiant past. It’s here that a young Fidel Castro made history invading the Moncada Barracks, him and his army of rebels, pressing start on the Cuban Revolution. 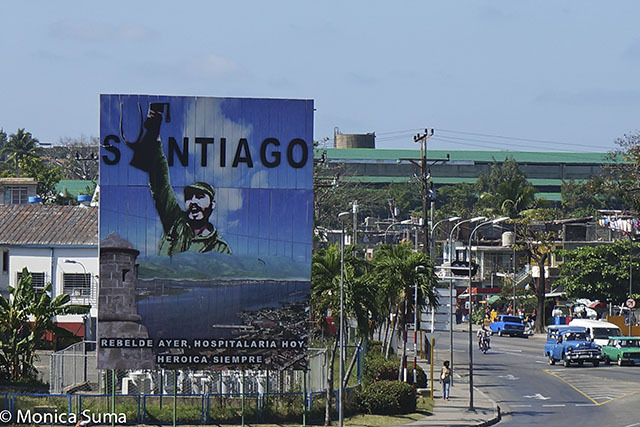 But history-aside, there are many faces to Santiago de Cuba. 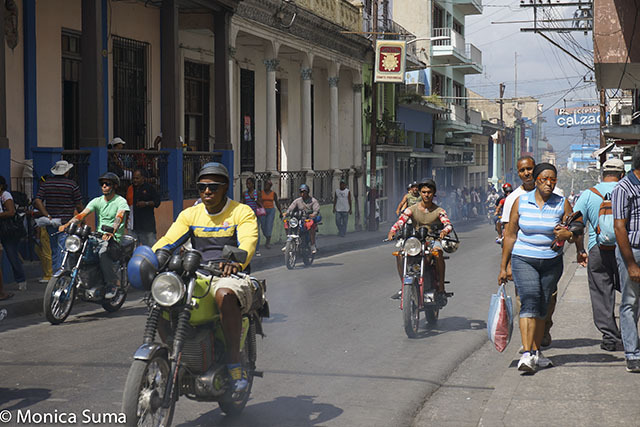 Flanked by the Caribbean Sea on one side and the densely Sierra Maestra mountains on the other, the once colonial capital, today’s Cuba’s second largest, delves in commerce, Afro-Cuban culture and faith. Far-off from the quaintness of other Cuban cities, a distinct hustle and bustle unfolds on the streets of Santiago de Cuba, a commercial hub of sorts in which salsa vibes reign supreme. Roads swarming with vendors, big or small, making an earnest living: selling fruit and small nothings of all kinds, playing an instrument, even repairing lighters. The hustle is real, less romanticized than it previously seemed. 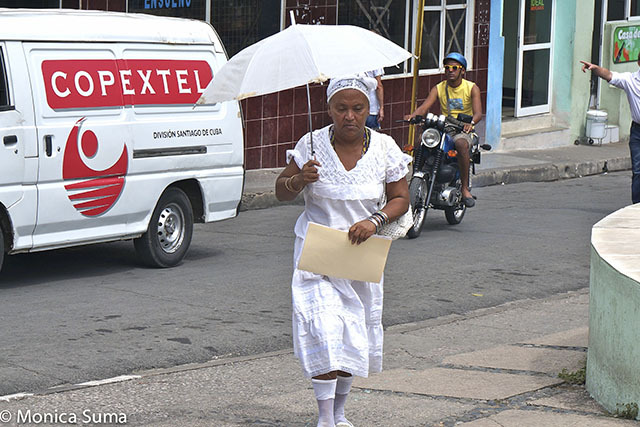 Alongside merchants and peddlers, billboards and fumes, women dressed entirely in white, the city’s Santería devotees, are going about their days, unruffled and dignified. Then, there’s the music. Gathering the largest community of Afro-Cubans in the country, Santiago de Cuba pulses with el son, the traditional music of Cuba and main genre of the Buena Vista Social Club, precursor of salsa. Best on display during July’s Carnival when during a weeklong festival, conga parades give way to mamarachos, characters in flamboyant, colorful costumes, and enmascarados, partakers wearing elaborate masks, this is when the cultural fusion breaks through. On the outskirts of Santiago de Cuba, however, only the humble and religious seek solace. Near the foothills of the Sierra Maestra, the Virgin of Charity, also known as Ochún, goddess of love and femininity in Afro-Cuban culture, assemblies believers in pilgrimage at El Cobre, Cuba’s most famous church. Nearby, the vast copper mine looming is no longer operating. Equally serene and undisturbed, despite the damages following hurricane Sandy, the oasis at Cayo Granma is a blessed respite to conclude the whirlwind tour of Santiago de Cuba’s hilly streets, infectious sounds and tastes a la creole. 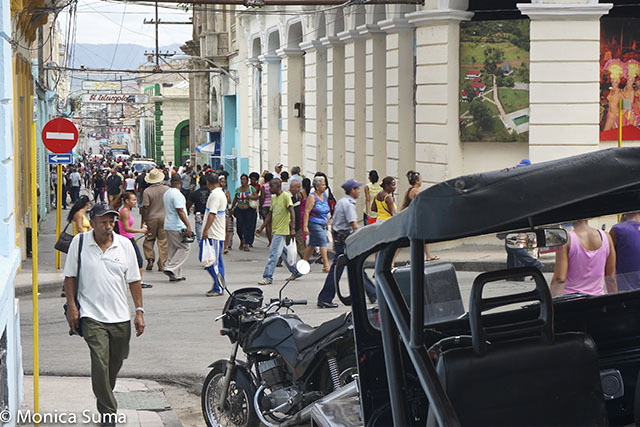 To learn more on Santiago de Cuba, join us on an Undiscovered Cuba Tour. Monica Suma is a freelance travel writer. Follow her on Twitter @monicasuma.